In this guide, you will find instructions on how to charge Air Conditioner (A/C) system with refrigerant (R134a freon) on any Cadillac. If your A/C is blowing hot air, there is a good chance that the system is low on freon. Charging Cadillac A/C system with refrigerant is easy and takes about 15 minutes. These instructions will help the owners of Cadillac ATS, CTS, XTS, CT6, XT5, Escalade, SRX, DTS, STS, BLS, XLR vehicles, and other models. The only difference between various Cadillac models is that the A/C charging port is located in different places in the engine bay. 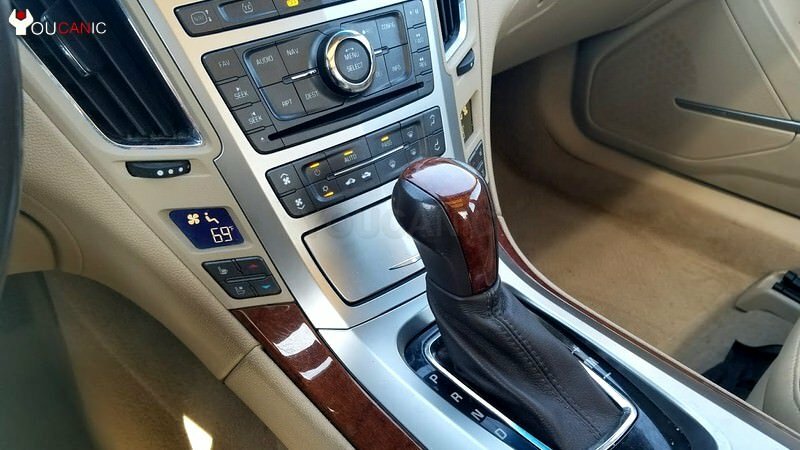 One of the most common symptoms that your Cadillac is low on refrigerant is the A/C blowing hot air even when the temperature is set to cold settings. 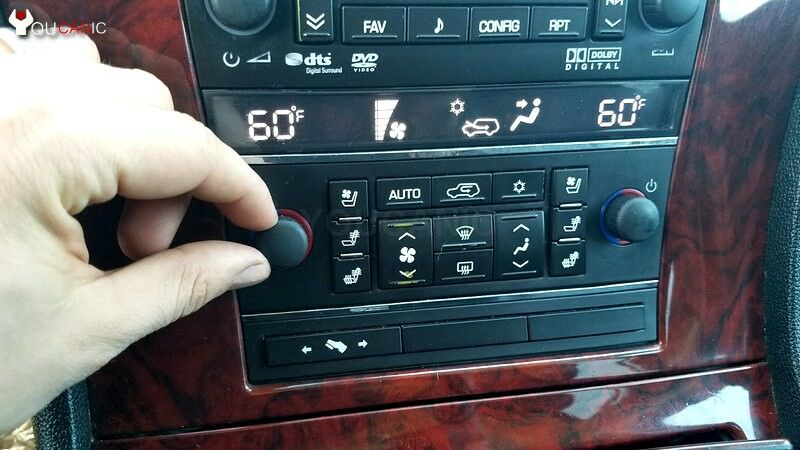 Before you start charging your Cadillac A/C system make sure that other components are in good working condition. Cadillac A/C may stop working if it is low on freon but also due to other problems such as A/C compressor not working, bad A/C clutch, bad temperature sensor, major freon leak etc. Park your Cadillac in a safe area. Turn off the engine. To add freon to your Cadillac you need to locate the A/C low pressure charging port in the engine bay. Pull the hood release under the dashboard until you hear your Cadillac hood pop open. Next, locate the low-pressure port. Label 11 in this picture shows where the A/C charging port is on a Cadillac. Note that there also is a high-pressure line as well. The A/C charging kit connector will not fit on the port for the high-pressure line. Carefully remove the cap from the low-pressure port by twisting it counterclockwise. 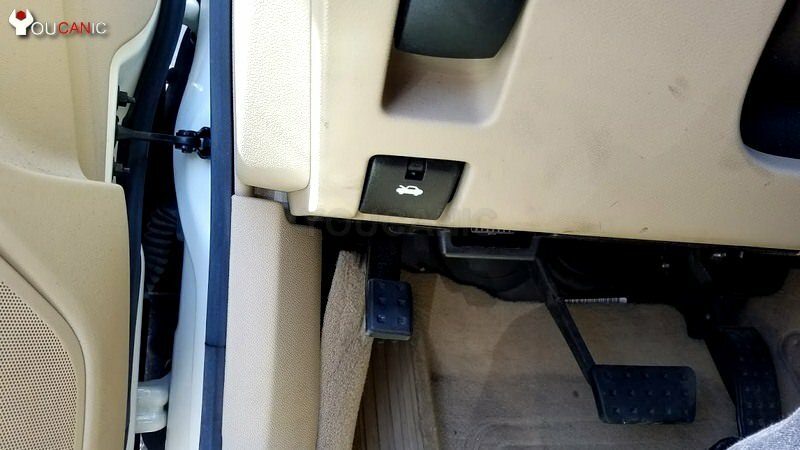 Connect your A/C charging kit to the A/C charging port. You are almost ready to add freon to your vehicle A/C system. Don't start adding refrigerant to your Cadillac A/C system yet. Start the engine of your car and allow your Cadillac to idle. Next turn A/C on and set it to the max cold setting. Set the blowing fan to maximum speed. Now you are ready to start adding refrigerant to your Cadillac air conditioner system. Add refrigerant as directed by the manufacturer of the A/C recharge kit you are using. You will need to press and hold the trigger until your Cadillac A/C is fully charged. This process can take several minutes. When the a/c system is low on freon, the compressor may not be engaged at first. As you add refrigerant you should hear the compressor kick in. As you charge the system stop pressing the trigger every couple of minutes to obtain a pressure reading. Continue adding refrigerant until your gauge reaches in the charged range. Do not allow the system to overcharge or be in the overfilled range. I love the step by step instructions.